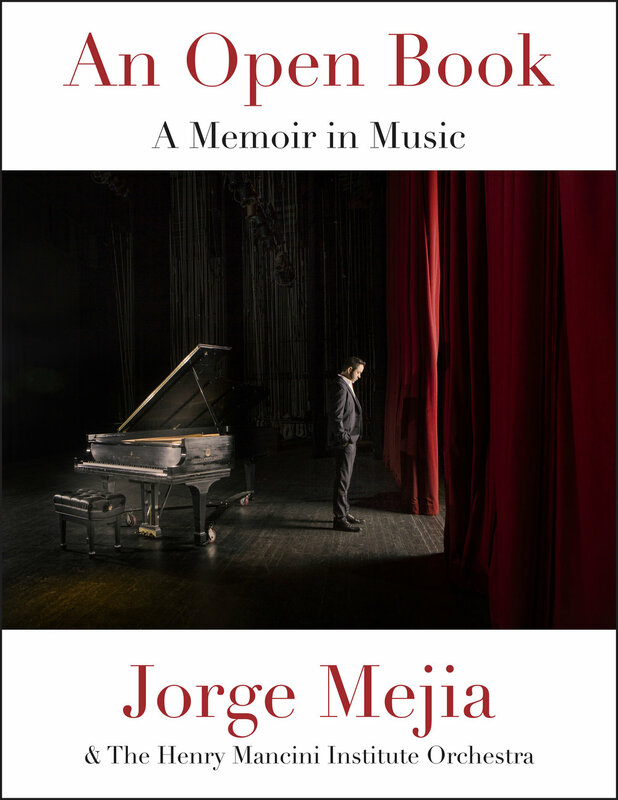 Released on May 4, 2018, An Open Book: A Memoir in Music is an interactive e-book with musical tracks, inspired by Mejia's colorful family history in Colombia, musical coming-of-age, and charming romantic misadventures en route to meeting his wife, women’s rights advocate Amanda Mejia. Exploring intersections of identity, culture, language and love, An Open Book is also available as audiobook, alternating narrative vignettes with orchestral preludes recorded by the composer with the Henry Mancini Institute Orchestra. I was born in Colombia, Colombia with an 'o' goddammit, not Columbia, Colombia: a place where you have arepas for breakfast and a nanny named Carmen, Carmen who comes from Montería, wherever that is, and who reads the future in the ash of your cigarrette. I was born to this family: an older dad (60, with a paunch) and a young and beautiful mom (30 with almond eyes – way to go, Dad! ), in Bogotá, Colombia, in the 70's: so picture if you will the long hippy straight hair, the bell bottom pants, the Colombian guerrilla in the jungle, the rainy cold weather (Bogotá is like London weather-wise, but with better teeth), a chauffeur named Juan de Dios (literal translation to his name, John of God – they did that back then – they named people after religious figures. Take my grandpa for instance, he was named Jesus Maria Pulecio – in other words, Jesus Mary Pulecio, which essentially meant that as far as he was concerned, I was a constant disappointment – him being Jesus AND Mary both, and me not being the Son of God or anything). Anyway, Colombia, La República de Colombia, La Nueva Granada, Venezuela to the East, Brazil to the South, the Pacific to the West, and the great American Dream, the good ol' US of A to the North. Roses – the Colombian red gold – for export, teeth chattering at a freezing school bus stop, the family dog, a German Shepherd named Candy Maria de la Concepción, a burning desire to move to the United States, I had that since I was a baby, Wonder Woman in – maybe that's what caused it – Wonder Woman in translation, and green mountains, devastatingly achingly beautiful, green mountains, deep greens the color of life under an expansive sky, yes beautiful! (this is beautiful with an exclamation mark: beautiful!) but a crazy place too – busetas – little buses – passing you by on the street, packed with people bursting at the seams, they're cans of sardines, and old men wearing straw hats, driving atop rickety mule carts, blocking curving, turning, streets filled with – sometimes – pot holes and – sometimes – police patrols – at dawn, the early morning light dripping off an asphalt-grey sky, delicate tears the color of gold prying open the melting fog, the translucent smog, lighting up a monochrome glob called traffic, gridlock, the essence of the early morning plod, just so many cogs stuck in the daily, chaotic, slog. In other words, it’s raining and you're stuck in bumper to bumper traffic, in Bogotá, Colombia, Colombia with an 'o' goddammit.